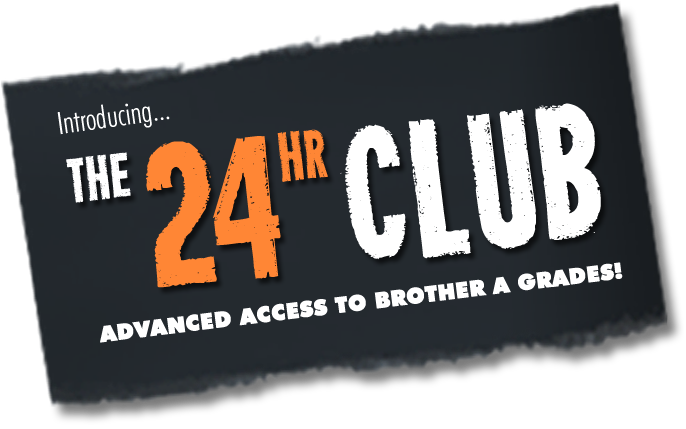 Joining the 24hr Club gives you access to Brother A Grade machines 24 hours ahead of their general release. A Grades are delivered into JGBM, in bulk, once a month and 24hr Club members will receive a fresh list to choose from each month, prior to their arrival. Typically they include the latest multifunction, printers or fax machines from Brother. A Grade machines are factory refurbished to ‘as new’ condition. They are a machine that has been returned as incorrectly ordered, not required, or the unit may have been ‘dead on arrival.’ They are then fully refurbished by Brother UK. A full 12 months manufacturer warranty is included with every A Grade machine.